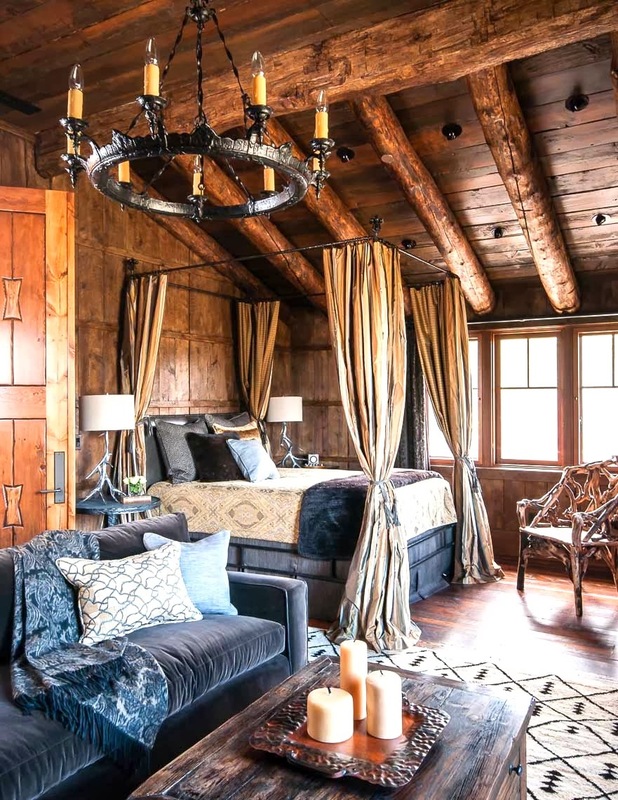 Anyhooo…take a look at this selection of mountain bedrooms and let me know which is your favorite. If I had to choose one, I would take the #1, the Chic bedroom. 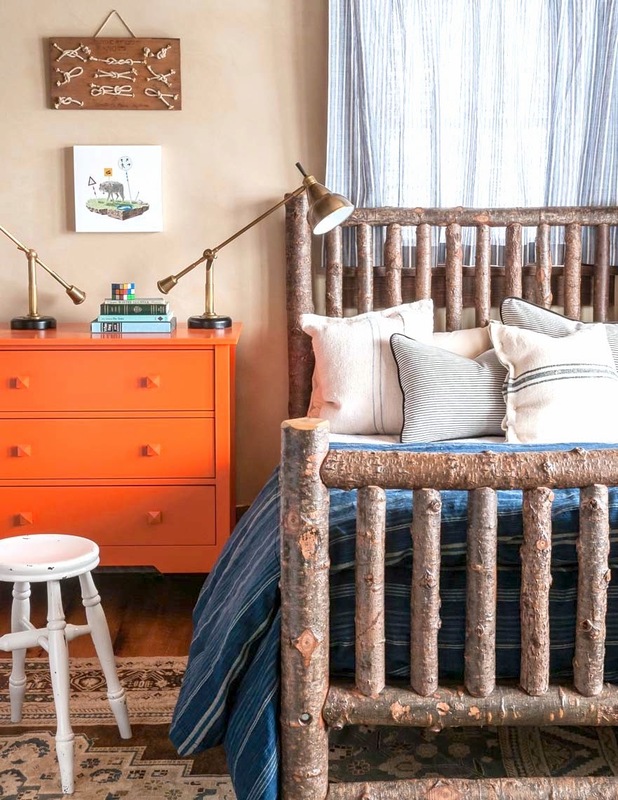 I love the hide rug on the wall behind the bed and the single wood log beam adding a touch of rustic. Which is your favorite? Do you like mountain style? #5 has been a favorite of mine, it’s on my pinterest board. I love all the texture! #4…I love the window seat near the fireplace. I love #’s 1 and 4. I AM a cabin girl. 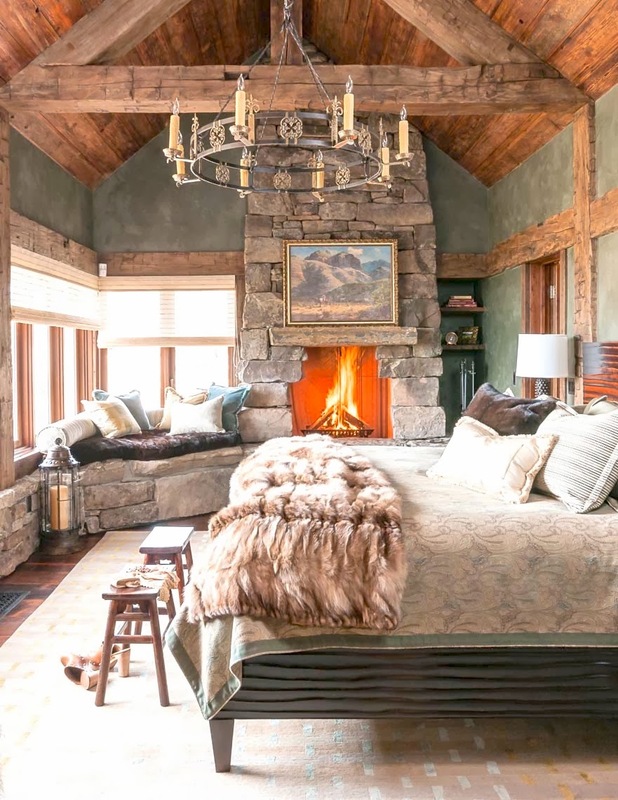 Live in an old converted barn in Colorado and Ralph Lauren has been my inspiration for as long as I can remember. 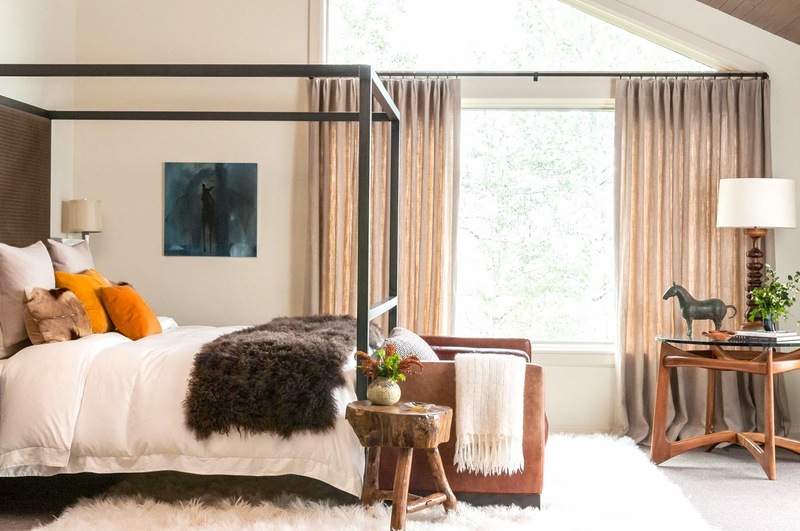 I like # 1 for the rug used behind the bed and it’s uncluttered look. I like #4 for it’s lushness and mix of textiles and color. I have a similar chandelier in our living room. Thanks COCO! 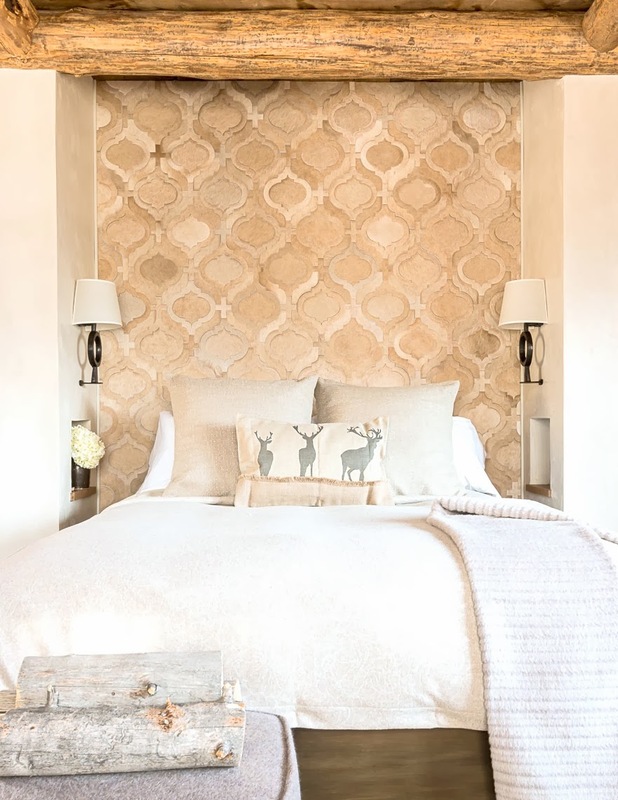 #2 is my favorite….. way too grand for the log cabin I am living in now but I need some inspiration for a headboard- love these ideas. Thanks. Toss up between #1 and #4. I love those built in niches in #1 but #4 is so cozy with that window seat…the perfect spot to sit and watch the snow fall. I like #2 and #5. #2’s dramatic punch is not usually my style, but everything just clicks in that room and it doesn’t knock you out with drama, it remains intriguing. #5 would be the rustic room i’d choose if it was for my own home. Great post!